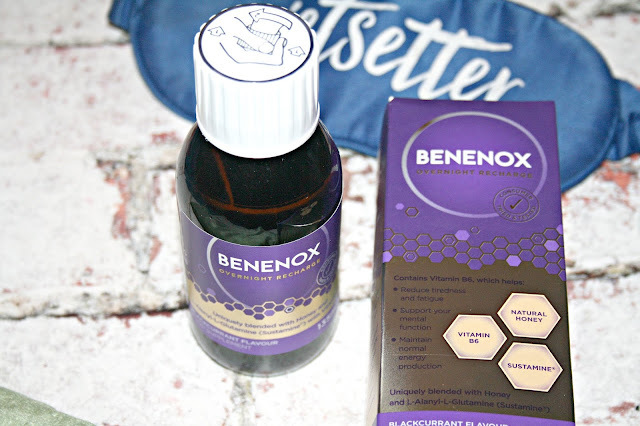 Beautyqueenuk | A UK Beauty and Lifestyle Blog: Benenox Overnight Recharge – Can a supplement really banish the morning struggle? Getting a good nights sleep is an absolute essential, experts claim that we all need around 8 hours a night, sleeping helps the body to repair and recover. But why is it, that most mornings we all wake up still tired, feeling as though we have not had enough sleep? I went to an event organised by Hayley over at HayleyHall just before Christmas at the very beautiful Somerset House in the most fabulous setting to learn more about a product called Benenox. It was there that I learnt getting 8 hours a night might not be enough for everyone and that is about the quality of the sleep you get not the quantity. I am sure many of us have a routine that we go through in order to drift off into the land of nod and over time we have all researched the best beds, the best mattresses and even the best duvets which help with sleeping - personally I do need a new mattress, but that is a whole new minefield I can't quite cope with yet. I have a love/hate relationship with sleep. I can either go to bed and fall asleep as soon as my head hits the pillow, I can fall asleep only to wake a few hours later and be wide awake as though I have had my 8 hours of sleep or I simply toss and turn and drive myself mad usually drifting off just as my alarm is about to go off. I have learnt over time that stress, hormonal changes and even the weather can often affect my sleeping pattern and as much of a fan as I am of disco naps during the daytime, when you have a full-time job, it isn't always easy to find those few minutes to nod off at your desk. So perhaps Benenox could help! Honey is known for its health benefits particularly for the skin, but within Benenox thanks to its mix of natural sugars, it is believed to help boost glycogen stores in the liver to use during the night. Sustamine which is a combination of two amino acids (L-Alanine and L-Glutamine) which help the Liver to store glycogen by slowing the absorption of honey in the stomach. Vitamin B6 which has been shown to reduce tiredness and fatigue whilst supporting psychological functions which therefore help you to feel more energised. Putting all of these together, Benenox, when taken before bed, supplements your body's stored energy levels to support good quality sleep, leaving you feeling full recharged and ready to take on the day ahead. So, does it work? I have made no secret of my issues with sleep, so I was intrigued to give Benenox a try. Taking 15ml before bedtime, the first few times I tried it, I actually didnt notice much of a difference if I am honest, but I stuck with it and once my sleeping pattern became disrupted again, I gave it another try and this is where it did make a difference, having struggled to get off to sleep, I now felt much more relaxed but the biggest change was waking up the following morning. Instead of yawning as soon as I woke up, I felt much more alert and like I could function, rather than wanting to hit the snooze button 4-5 times. 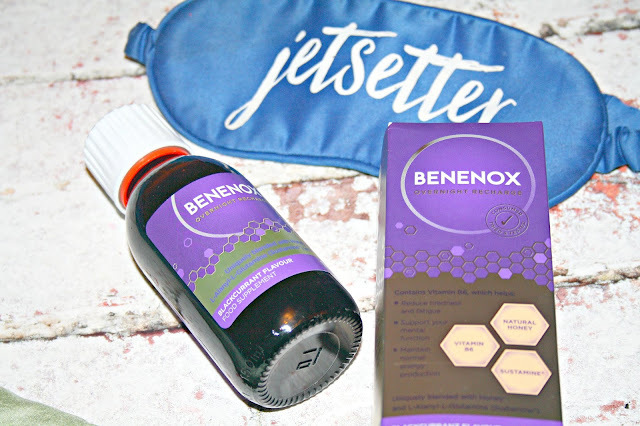 If the Benenox Overnight Recharge sounds like something you want to try then you can find the vegetarian-friendly food supplement in Tesco and on Amazon, priced at £12.49 for 135ml. For further information, visit www.benenox.com. I'm on board with anything that'll help me get up in the morning. My sleep is so disrupted because if the baby feeding all the time. It would be nice to wake up & not feel grumpy. I have been struggling to sleep recently, so this sounds like a life saver! I hate having a restless night and waking up in the morning with no energy! Ooooo I might need to try this, I'm so tired right now!